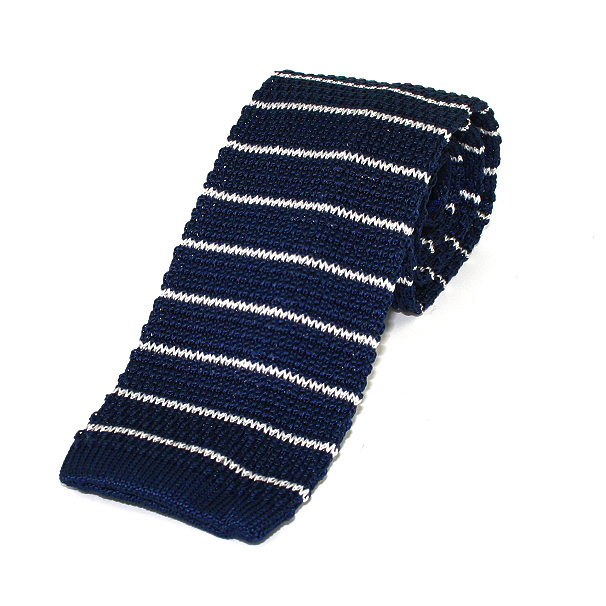 A knitted navy blue silk tie with a narrow white horizontal striped design. Made in the UK using the finest silks. A navy blue handkerchief with pin dot spots in white with a broad navy border. Made from pure english silk.